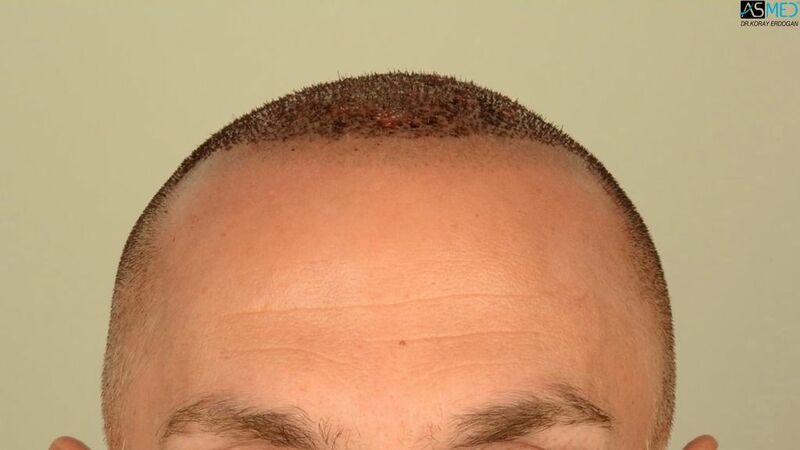 OPERATION DETAILS: 5009 grafts FUE extracted by manual punch, diameter 0.8 mm. 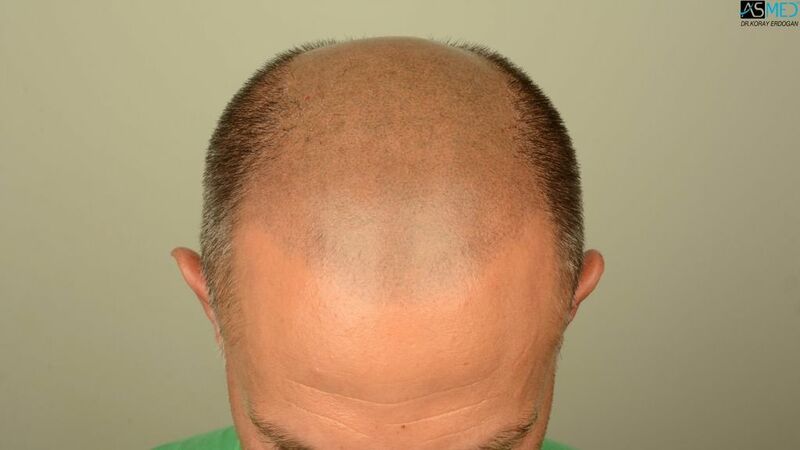 GRAFTS DISTRIBUTION: 5009 grafts were used to restore the patient’s frontal area, mid scalp and vertex area. 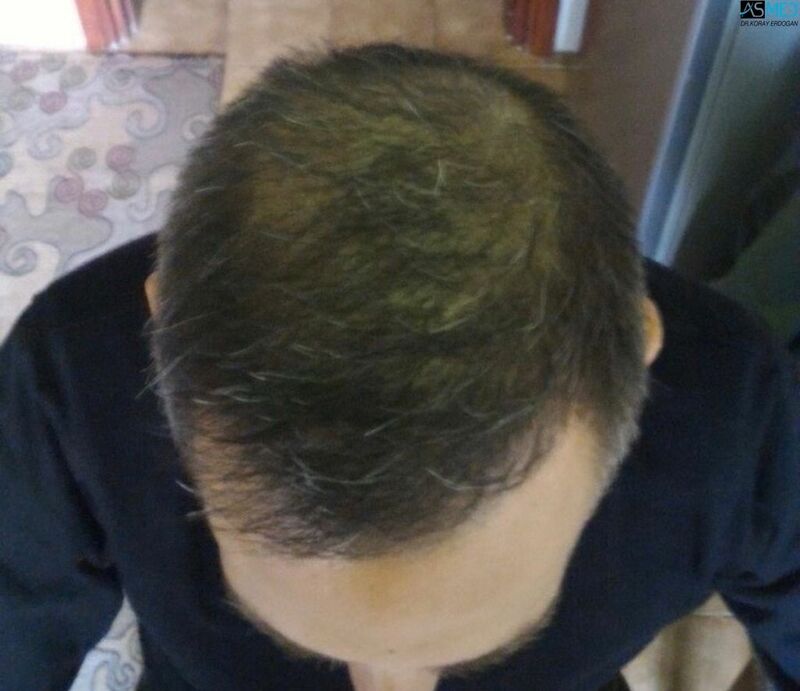 FINASTERIDE: The patient has started to use finasteride along with the surgery and still using it. 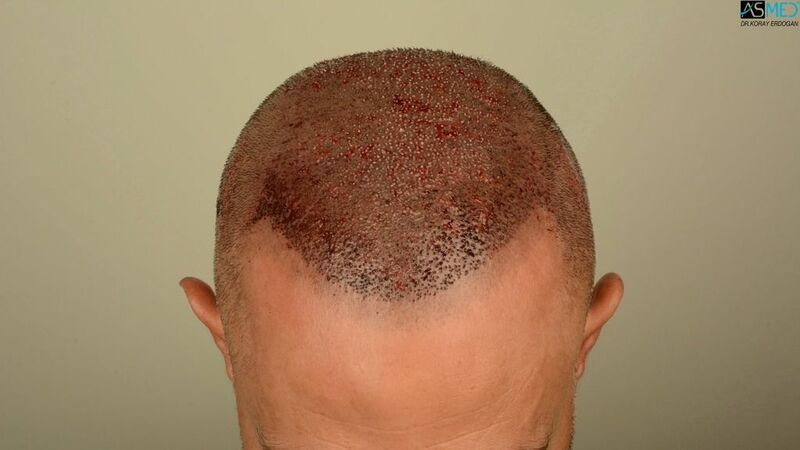 Please note that the patient had a trico pigmentation on the recipient area and used a hairpiece before. I appreciate that your clinic has always made an effort to take clear and comparable before/after photos to illustrate the results. Great result! What impresses me is that this person’s donor looked like it had nothing close to 5000 grafts to give and yet the donor area doesn’t seem to look any sparser after the procedure. 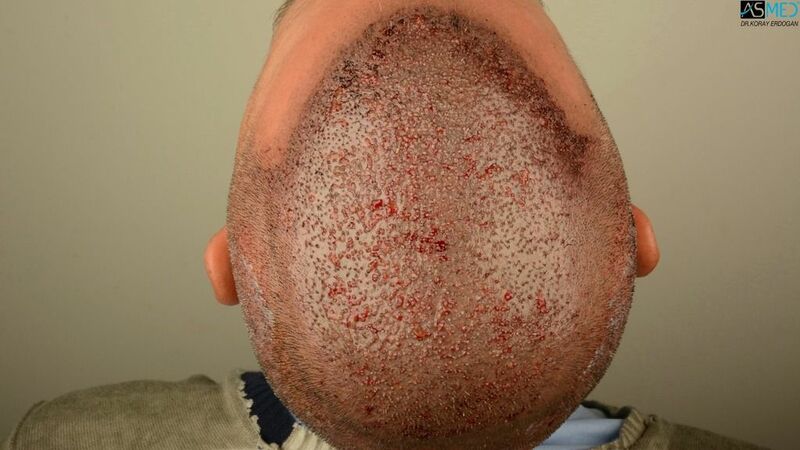 I went to a well-known clinic and was told my donor capacity was only 500 grafts, and I’m pretty sure I have way more donor than this patient… I guess I need to get another opinion. How is this true? 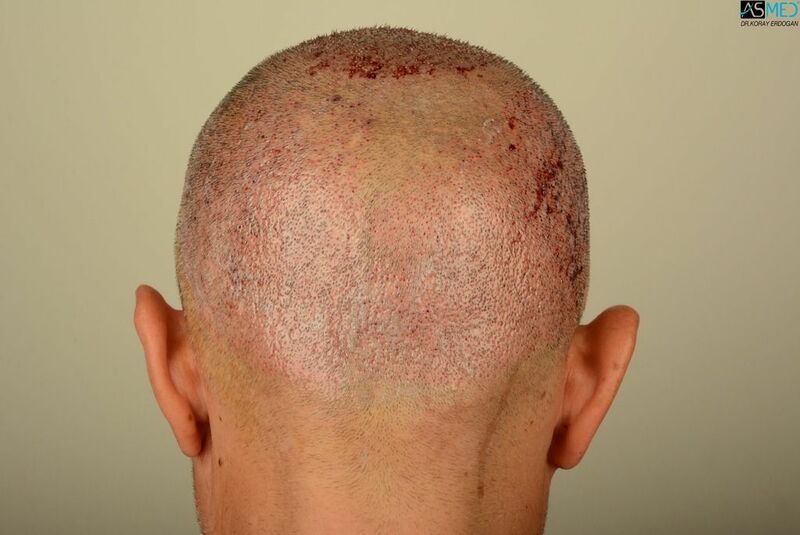 From what I can see the recipient area was shaven in the before pictures, so we don’t know what the patient looked like prior to surgery, as in how much hair he had, to compare to the after photos. It looks like the front third or maybe almost half is SMP. Is this correct? This does look good, but I have to think there was some hair already there. 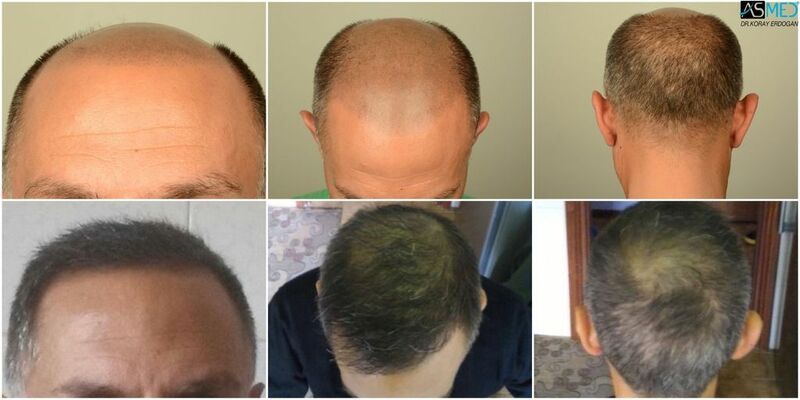 Agree, I can see a shadow or something in the before pics, he might have shaved his head just prior to the surgery. 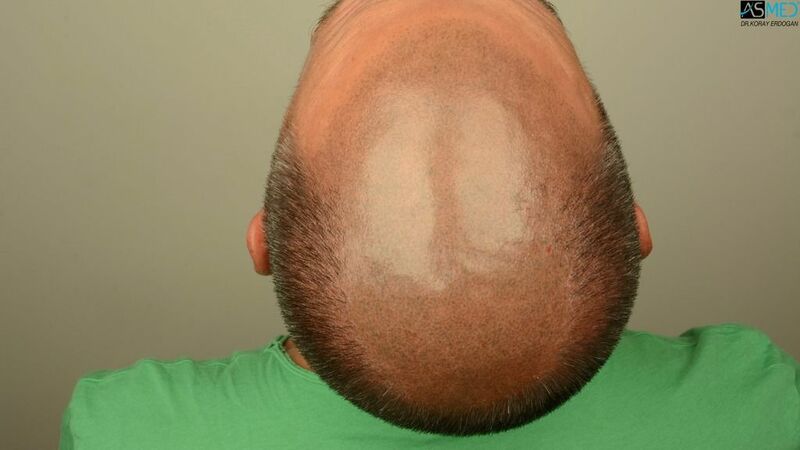 Yeah you’re right it would only make sense to shave the whole head. Maybe he ordinarily kept his top hair the length of his back and sides but it was probably too thin so he combined it with tattoo. However it does look shaved but it does say he had tricopigmentation done. Maybe the clinic can tell us. 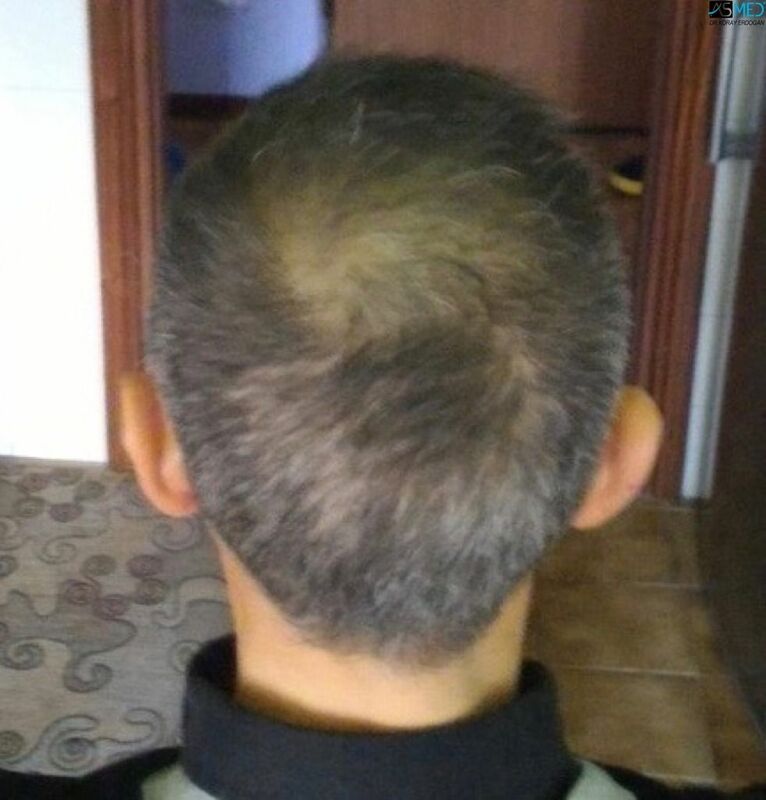 I agree, 69sting… along those lines, given my donor, while probably worth more than 500 grafts in a FUE, is still somewhat sparse because I’ve had 3 strips over 25 years, it occurs to me if I do one more go-around (with head hair) I’m better off with a strip. 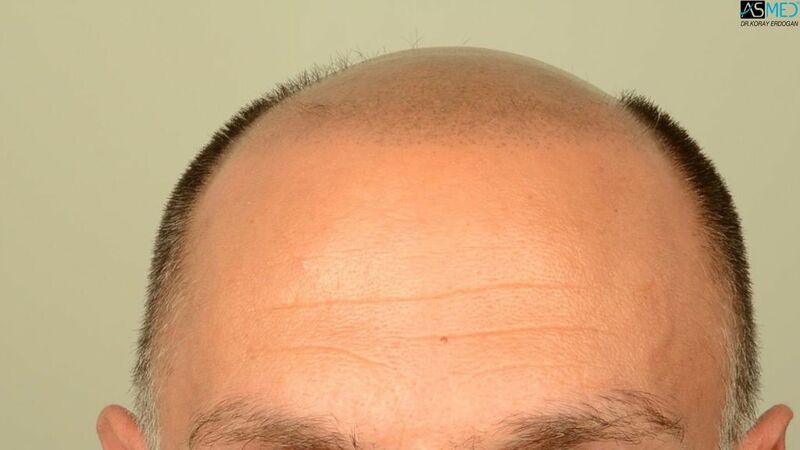 My thinking is that a strip, since you excise a portion of scalp, will yield more grafts because FUE would be limited to avoid a moth-eaten look. 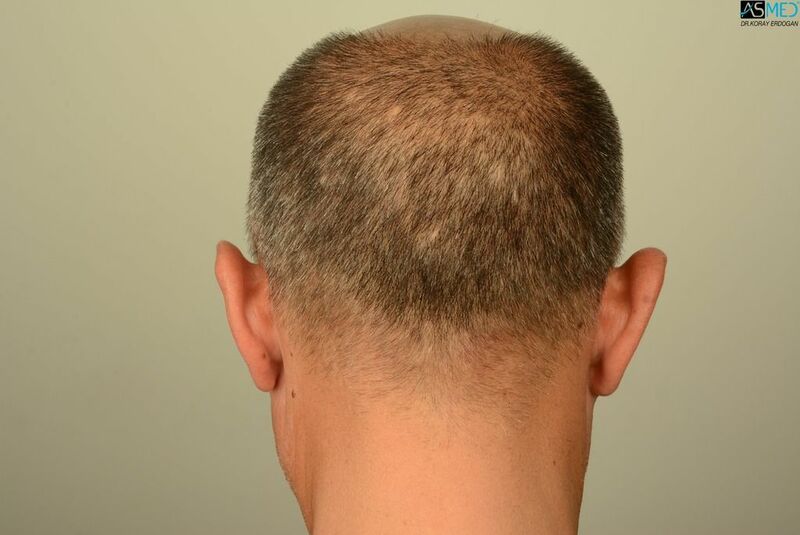 I understand that the scalp will stretch, and there may be more trauma loss with a strip. But it seems intuitive to me a strip will safely yield more, in my case. (Obviously, the scar is not an issue and I’m willing to undergo more pain to satisfy my vanity.) Any thoughts would be appreciated. and sparse. the best results I have ever seen with my on eyes is helliboy. only go with fue from here on!! !